Leading American orchestras, instrumentalists and wind ensembles around the world have performed the “straightforward, unabashedly beautiful sounds,” (Boston Herald) od Chicago based composer James M. Stephenson both to critical acclaim and the delight of audiences. Stephenson’s catalog of compositions now boasts concertos and sonatas for nearly every instrument, earning him the moniker “The Concerto King” from Chicago Symphony clarinetist John Yeh. The Anderson Symphony is thrilled to commission a new work by James in memory of Kent Leslie. 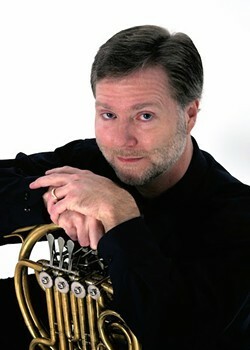 Kent Leslie, a free-lance hornist and horn teacher in Indianapolis, was the principal hornist of the Anderson Symphony Orchestra for 25 years, he was a charter member of the Indianapolis Chamber Orchestra, principal hornist with Lafayette Symphony Orchestra and hornist with Keynote Brass. Kent focused primarily in his solo and chamber performances on contemporary music. He was personally responsible for the commission of many new works by James Beckel, Becky Archibald, Michelle McQuade Dewhirst, Frank Felice, Frank Glover, Jody Nagel, and Mark Schultz. In memory of this commitment to the creation of new music and Kent’s lasting memory with our orchestra, the Anderson Symphony is honored to premiere James Stephenson’s Blue Night. 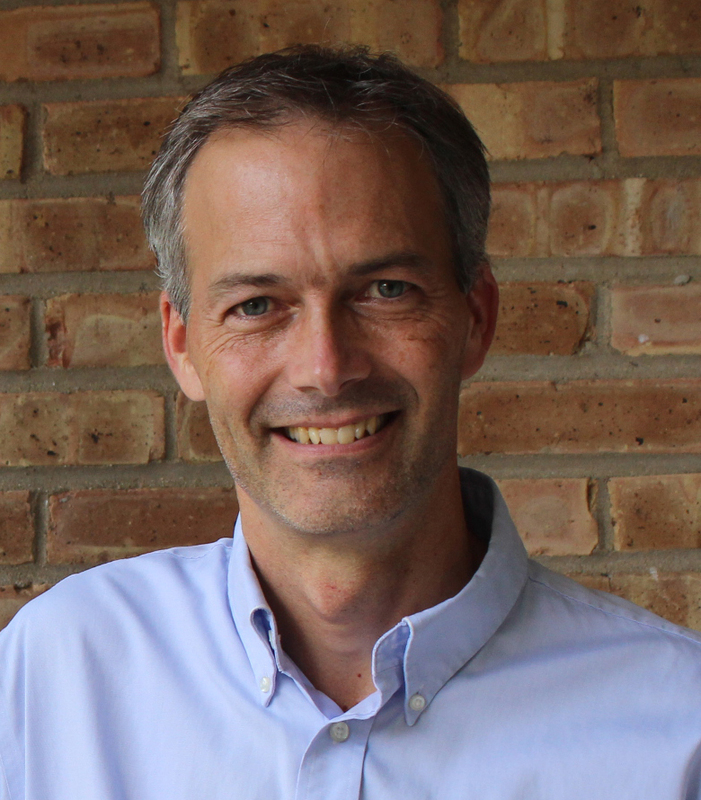 The Anderson Symphony sat down with James Stephenson to talk about the process of composing Blue Night and to get the know the composer. ASO: James can you name the single most inspiring factor that led you to composition? The feeling I got when performing – in an orchestra – composers of the past. That one moment when you don’t wish to be anywhere else or doing anything else other than experiencing that exact moment at that exact time/place. I didn’t realize it for a long time – that I would become a composer myself – but once I did, I aspire every single time I compose a piece to somehow try to elicit that response from a performer or listener. The opportunity to create each and every day. To reach people through music. Especially those who AREN’T musicians. Sometimes it is frustrating, trying to come up with new material, but once I get into that zone, there is nothing like it. Secondly, when I decided to try my hand at composing (I was first employed as a professional trumpeter), I decided to attend a composition class at Northwestern entitled “Adventures in Bad Music”. It was mainly a discussion class, but our final assignment was to compose a BAD piece of music. At this point (I was 24), I had never written a single piece of original music. So I figured this would be easy. I sat down at my desk and wrote a trumpet duet, without using a piano or anything as a tool. A friend and I performed it together the next day for the class, and they LIKED it. So – in essence, I failed the assignment. And I’ve been composing ever since. Again – an accident. What if they had agreed that it was in fact a BAD piece?? ASO: Can you talk about the process of composing and orchestrating Blue Night? I wanted to be sure to honor and recognize the reason for which it was being written: Kent, a horn player, well-known person in the community, lover of all styles of music, old and new. Even though I didn’t know him personally (other than a brief meeting many years ago), I wanted to do my best to represent him. Therefore, the horn is often featured, but not overdone. My sense is that Kent would have wanted the piece not to be about him so much, but for his love of all things music. It has a jazzy element, to reference his love for music that isn’t always necessarily classical. But at the same time, it is beautiful and sad – an obvious nod to the occasion for which the piece was scores in the first place. ASO: You mentioned that Kent had a love for music that wasn’t necessarily classical. Believe it or not he was a huge fan of Rock ‘n Roll, and in particular, Alice Cooper. What’s your favorite piece of music that isn’t classical? ASO: What do you listen to in the car? Honestly – mostly things other than classical music: NPR, sports radio (I’m a bit of a nut about Chicago sports teams – Go CUBS! ), coffee-house radio. Usually, my head is so involved in thinking of the piece I’m currently writing, I don’t want to mess that up by listening to other classical music. That being said, when I’m looking for inspiration, I’ll turn on classical or jazz radio. ASO: How would you describe your compositional style? Sounds you have never heard before but are somehow familiar. I recently came across a Confucius quote, which I love. To paraphrase: “We have two lives. The second begins when we realize we only have one.” That has changed my mode of thinking tremendously, as of late. The Anderson Symphony Orchestra enriches lives through beautiful music of high artistic quality and provides experiences that excite, entertain, engage, and educate our community. We are committed to offering the community a diverse repertoire of music with a goal of cultivating new audiences and growing the organization while remaining fiscally responsible.